Here's a superb new online slots from leading game developers Eyecon Gaming. Whenever we hear of a sequel to a film or game, we cannot help but squirm a little bit with excitement and anticipation for how much it can exceed its original product. If sequels are something that gets your adrenaline going, then you'll be ecstatic to hear that the brilliant Australian developers, Eyecon, have released a new game based on their original 'Secret Gardens' game. The game contains the same kind of peacefulness and tranquillity that players have experienced in the first version. The sensation of wandering through a floral garden filled with beautiful, fragile botany can make any new player smell the flowers from the screen. If you think that some of the big names of casino gaming are born State-side or in Britannia, then you better think again! Established in Australia and renowned worldwide, Eyecon started off as a small group of developers with big ideas that wanted to give a totally new experience to current casino players. 20 years later, their big ideas have pulled off and now they're having their clients begging them to unleash their newest releases. They've succeeded in creating games that can be integrated on a variety of platforms that you could think of. Laptops, tablets, smartphones, even television. If you're already amazed by what Eyecon can achieve, along with the games that they have already developed like Pachinko and Perfect Pairs Blackjack, then wait till you hear how brilliant playing Secret Garden 2 can be! Rose WILD: doubles your stakes and replaces all other symbols on the reels except for the watering cans. When 3, 4, 5 roses appear, the player will activate 15, 20, or 25 free spins round. Watering Can SCATTER: activates the Money Pick bonus round when 3 or more watering cans appear, which requires the players to choose a pot that would multiply their winnings. by 500. 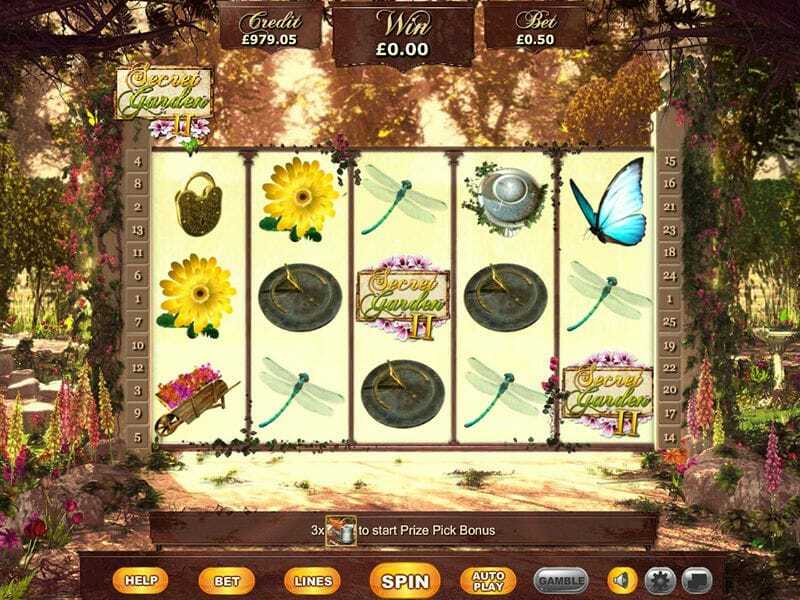 With so many fortunes and high payouts that this slot game holds, no wonder it's called the Secret Garden! If someone calls a garden secret, they know that it contains something that they don't want a lot of people to know. What could that something be? Lots of wealth and winnings that hold greater values than what players have originally put down for their stakes.